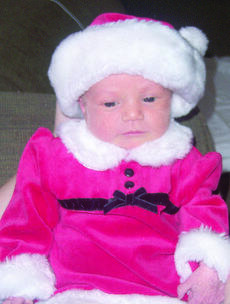 Madeline Kate Williams was born to Justin and Kelsey (Turner) Williams on Nov. 26, 2008 at Sentara Norfolk General Hospital in Norfolk Va.
She weighed 7 lbs. 7 oz. Maternal grandparents are Randy Turner and Kathy (Brown) Turner, both of Cynthiana. Paternal grandparents are Larry and Mary (Stanfield) Williams of Cynthiana. Justin is in the United States Navy aboard the USS Dwight D Eisenhower. Both Kelsey and Justin are originally from Cynthiana. Benjamin Matthew Marsh was born on Oct. 19, 2008 at Central Baptist Hospital to Matthew and Kristy Marsh of Lexington, Ky. He weighed 7 lbs. 14 oz. Maternal grandparents are Mark and Patty Boll of Columbus, Ohio; maternal great-grandparents are Pat and Mary Melaragno of Columbus and the late George and Rose Ann Boll. Paternal grandparents are J Frank and Wanda Marsh of Harrison County; great-grandparents are the late Frank and Lauretta Marsh and the late Harvey and Lottie Cordray. 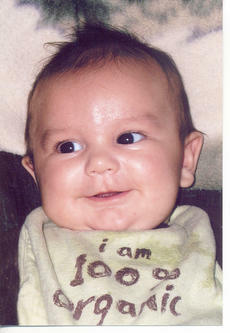 Matthew Conway Williams was born to Crystal Tolliver and Robbie Williams of Paris, Ky. on Nov. 10, 2008 at Harrison Memorial Hospital. He weighed 7 lbs. 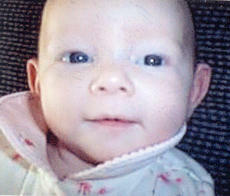 10 oz., and is welcomed by his brothers, Steven and Kenny, and sisters, Kimberly, Charity and Haley Williams. Maternal grandparents are Lee and Patricia Tolliver of Paris, Ky.; maternal great-grandparents are Ella Mae and Ray Tolliver. Paternal grandparents are Margaret and Melvin Williams of Paris; paternal great-grandparents are Etta Williams, Orie Williams, Bob and Lorene Stanfield. 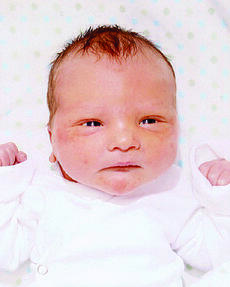 Luke Preston Hatfield was born to Josh and Jennifer Hatfield on July 29, 2008 at Central Baptist Hospital, Lexington, Ky. He weighed 7 lbs. 8 oz., and is welcomed by his brother Jace Parker Hatfield. Maternal grandparents are the Rev. Rodney and Delores Hensley of Rose Hill, Va.
Paternal grandparents are Myron and Joyce Hatfield of Pennington Gap, Va., and Betsy and Danny Haley of Cynthiana; paternal great-grandparents are Lula Thomas, Betty Hatfield and the late William Howard Hatfield, all of Cynthiana. Homemaker Dues are due now for new or renewing members. There are 13 clubs available active members. Mailbox members are $8. Flashlights are a free give away to everyone who joins. Consider giving a mailbox membership to a friend or shut in. Holiday Cooking School. Thursday, Dec. 11 at Cedar Ridge Health Care Campus at 5:30 p.m. featuring Cheryl Case, County Extension Agent for Family and Consumer Science and Jara Bauer, R.D. Harrison Memorial Hospital. There is no cost, but please register by calling 234-5510. There will be door prizes, recipes and tasting. Births announced this week are: Kevin Austin Barnett, Dec. 4, son of Kenneth and Paula Barnett; Austin Wayne Thomas Bevins, Dec. 4, son of Mary Jane Bevins and Gerald Thomas Wright Jr.; Taylor Leigh Harney, Dec. 2, daughter of Jeff and Kathy Harney; Autumn Marie Smith, Dec. 6, daughter of Ben and April Smith; Luke Jennings Stephens, Nov. 28, son of Ronnie and Becky Stephens. The annual Christmas dinner will be held Sunday, Dec. 7, immediately following the second service. Meat and drinks will be provided.Everyone is asked to bring a side dish or dessert. The children and adults will present a Christmas musical on Sunday, Dec. 14 at 6 p.m. The traditional Christmas Eve service will take place at 10 p.m. on Wednesday, Dec. 24. * Cynthiana Democrat, July 26, 1917 - “Locust Grove news - Mr. and Mrs. Thomas Padgett spent a delightful day Sunday with the family of Otis McCauley; Mr. and Mrs. Noah McCauley and son were the guests Sunday of Sarah McCauley; Mayme Fryman spent Sunday night with Bertie Mae Fields; James Reno, wife and two children, Hazel and Malcom, of Cynthiana, dined Sunday with Mr. and Mrs. S. D. McCauley; Mr. and Mrs. Grover McCauley and babe spent Saturday night and Sunday with Mr. and Mrs. E. T. Taylor. A jolly crowd of 20 from here spent a delightful day at Poindexter Saturday fishing. Thanks to everyone who helped in with the Soup and Basket Auction that was held this past weekend. Christmas Program. At the Berry United Methodist Church will take place on Sunday, Dec. 7 at 6:30 p.m. The program director will be Sherry Gillespie. She has put together a new program. Piper RhiAnnon-Rae True was born to Randy and Greta (Wohlwinder) True of Berry, Ky. on Sept. 17, 2008 at Georgetown Community Hospital. 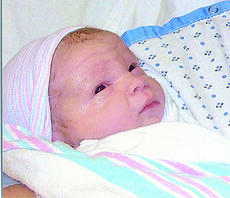 She weighed 7 lbs., 12 oz. and is welcomed by her brothers, Dane and Gavin True. Maternal grandparents are Charlie and Susie Wohlwinder of Cynthiana; maternal great-grandparents are Anna May Henry of Carlisle and the late Preston Henry, and the late Cecil and Doris Wohlwinder of Cynthiana. 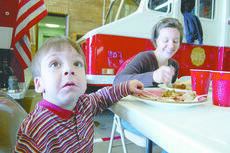 Cynthiana firefighters didn’t have to go home to have Thanksgiving dinner with their families. While most were home preparing Thanksgiving meals for the following day, firefighters and their families celebrated together Wednesday afternoon at fire station 1. “The great thing about working at the fire department is all the nieces and nephews you inherit,” said Chief Jay Sanders. 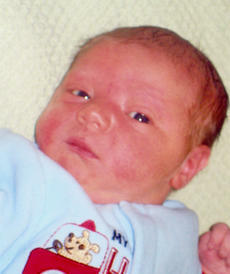 Nathaniel Allen Carson was born to Crystal and Josh Carson of Cynthiana on Nov. 24, 2008 at Harrison Memorial Hospital. He weighed 7 lbs. 10 oz. Maternal grandparents are Randy and Diana Herrington of Cynthiana; maternal great-grandparents are David and Judy Fryman and Betty Moore. Paternal grandparents are Jeff Carson of Cynthiana and Shirley Carson of Berry, Ky.; paternal great-grandparents are Charles Carson Jr. and Peggy Carson. Births announced this week are: Emily Morgan Florence, Nov. 2, daughter of Mr. and Mrs. Anthony Florence; William Nicholas Gunther, Nov. 19, son of Karen and Michael Gunther; Austin Louis and Kirby Tyler Jackson, Nov. 27, twins of Gary and Becky Jackson. City and county agencies are having trouble agreeing on details of a joint ordinance (on the option for purchase of land for an Industrial Park) that would set the wheels in motion for development of a proposed industrial park. A healthy food cooking demonstration will be held at the Harrison County Health Department Frankie Casey Taylor Community room at 5 p.m. on Dec. 8. Please bring a recipe that could be modified to offer traditional ethic flavors, but with more health - conscious ingredients and preparation methods. Attendees are asked to sign up to ensure an adequate amount of food. Call Carol Carson at 859-588-5981 by Friday, Dec. 5 at noon. This program is hosted by The Sisters Together Move More, Eat Better committee and Wedco District Health Education. Births announced this week are: Abigail Shalee Earley, Nov. 18, daughter of Jason and Lisa Earley; Christopher David Tucker, Nov. 21, son of Ginnie Lee Richardson and Charles David Tucker; Austin Dwayne Tumey, Nov. 27, son of Dwayne and Marlane Tumey. New federal legislation now allows farmers and landowners of farms with 10 or fewer base acres the opportunity to receive payments for the 2008 Direct and Counter-Cyclical Payment Program (DCP). On Oct. 13, 2008, President George W. Bush signed a bill that made amendments to the 2008 Farm Bill.